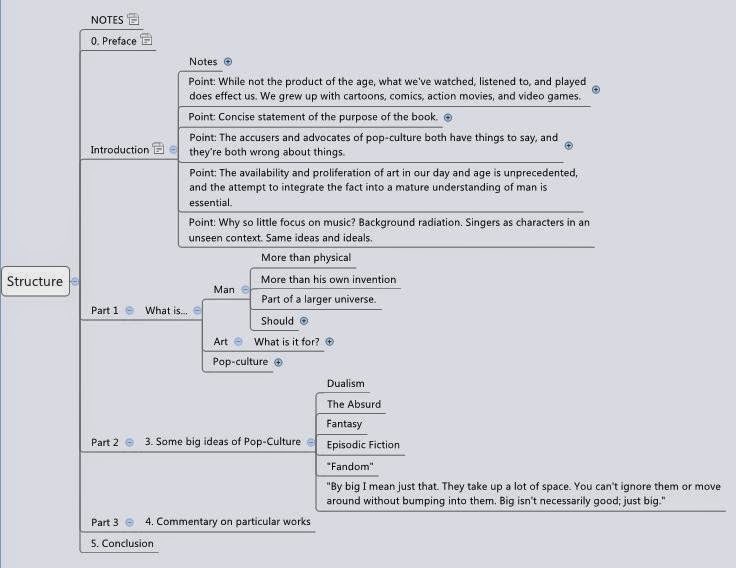 Below is a rough draft (meaning here "unfinished, tentative version") of the introduction to the book. I've been reading about Art some, but decided it would be a good time to do some more serious thinking about the structure of this thing and try to get down on pixels some of the whys and wherefores of it. I feel like it's coming together some. That is to say, how things will be organized is becoming clear enough to give me a sense of the immense amount I have to do. The size and depth of the ideas and questions confronting me is exhilarating, and a little scary. I hope you enjoy. Comments are, of course, welcome. I was born in 1987. I loved the Teenage Mutant Ninja Turtles. I still have my VHS tapes of all three live action movies, although I don't know where my sweater went; it had all four of their faces on it. I got a Nintendo Entertainment System when I was 3 years old. My parents told me they would not buy me any more video game systems, and I'd have to get them myself if I wanted them. I can't remember spending my allowance on anything else for at least 10 years. We had a huge movie collection that grew and grew. I hid behind the couch while Jurassic Park was on, imagining dream-like horrors far worse than what I'd later discover actually happened in the film. I watched Lethal Weapon, the Terminator, Total Recall. I used to rent things from the local video store. Things like the live action Guyver movies (does anyone even remember those?) Or I'd just see the covers of movies I'd never watch as I wandered through the store: Friday the 13th movies, that weird mermaid movie with Cher in it. I played with action figures and Lego. I watched Saturday morning cartoons and made my godfather write down everything Sonic Said. Pretty much everyone reading this, I expect, did the same kinds of things. The particulars were different of course, and maybe you were a generation or two before or a generation after the time I'm talking about. But, even with these differences, we all saw and had and did things like what I've described: these toys, stories, characters, games, shows, and movies. This “pop-culture” is something we grew up with, something important to us because it filled our lives with adventure, delight, and wonder. Not the only things that did, and maybe not the most important, but big things and things we loved. I'm not one to say that everyone is simply a product of their age. Luminous beings are we, and able to transcend many a barrier of time and space. But, there is no denying that these things helped to shape our minds, our way of looking at the world and each other. We can't escape it. Some of my favorite heroes growing up were genetically mutated humanoid turtle-men. Hector and Odysseus are pretty cool. Aragorn is the man. But, the heroes on a half shell are right there with them, and before them really, in the formation of my mind, because I watched them and imitated them first. And now I'm in the latter half of my twenties, and so is everyone else born in 1987 (that being how time works and all). I have a wife and two children. I'm still watching movies and TV shows, listening to music, and playing video games. Some of the rest of the '87 vintage are making the movies and the shows, the music and the games. Time, in its inexorable fashion, has made us all physically adults, and it's time to watch, listen, and play like adults. That is what this book is for. This book aims to take pop-culture seriously (more seriously than it takes itself most of the time) and to make sense of it in light of man's nature and purpose in the universe (both of which have become unpopular concepts) with the help of some very old (but timelessly important) ideas. This will mean condemning some things, but it will also mean delighting in some things and making much more of them than maybe even their makers intended. This book is not intended to be a defense of pop-culture, although some defending of it will be involved. But, what that ends up looking like might seem strange, because not only does pop-culture need to be defended from the attacks of its accusers, it needs to be defended from the attitude of its friends. This is because many people who condemn pop-culture, thinking of it as at best childish (which some of it is) and at worst morally corrupt and corrupting (which some of it is), have almost the same fundamental opinion of it as its fans and adherents, namely that pop-culture is fundamentally unserious. The difference between them is that the accusers think there is something else to do (something adult instead of childish, something morally healthy rather than corrupt) where as many of pop-culture's friends don't think there is anything really to do at all, and that one person's morally corrupt is another person's favorite weekend past-time. It leads the accusers of pop-culture to simply throw up their hands and lament the immaturity of people today, but their concept of maturity often looks like wage-slavery, or simply the attempt to stop things from happening rather than making the right things happen, and you begin to wonder what more there is to all that adult stuff they were talking about. This book intends to stand right in the cross-fire between these two groups, pointing out the flaws of both and the helpful things that each has to say. This is why I'm relying on thinkers like Aristotle and St. Thomas Aquinas, because the grumpy comic-book collector and the grumpy Classics professor are both human beings, and Aristotle and St. Thomas have pretty much the clearest view of what it means to be a human being, without propping us up like gods, or throwing us into the jungle like monkeys.